James Lee Ewing taking a letter from James C. Neill at the Alamo. It is well known that the Texas Revolution of 1835-36 featured many people of Scottish origin. Just the names testify to that — Bowie, Houston, etc. But one of the leading participants in that heroic struggle was James C. Neill, a full-bloodied Ayrshireman — although by birth a North Carolinian and by destiny a Texan. Both of Neill's parents hailed from Loch Fergus Farm in Ayrshire, before they emigrated to America, where they raised a family of 11 children. 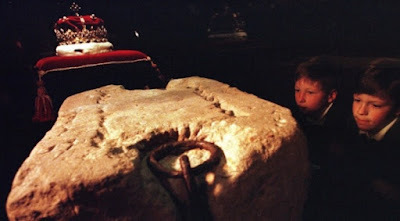 Neill is usually treated unfairly by historians and other writers of fiction because Destiny also preserved him from doom at the Alamo, where he was the absent commander. On December 21, 1835, General Sam Houston requested that Neill, now a lieutenant colonel of an artillery company, take command of the Texan forces stationed at the Alamo Mission in San Antonio de Bexar. Neill was greatly respected by the men under his command, including Jim Bowie and William Travis, who would later become the heroes of the bloodbath at the Alamo. Of Neill, Bowie wrote: "No other man in the army could have kept men at this post, under the neglect they have experienced." Even though Neill worked hard to get the Alamo in readiness for a siege, he initially favoured abandoning the fort, but due to an absence of transport animals to move his cannon to safety, he decided that defending the fort to the death against the massive army of Santa Anna would be the best course. In short, the decision to defend the Alamo and much of the glory thereof was his. The reason he did not die in the battle was because shortly before the Mexican army arrived, Neill was drawn away by serious illness in his family, and was fully expected to return. When he did return, it was too late, the Alamo had fallen to Santa Anna's vast army. On 7th March, Neill with 50 men headed for the Alamo, getting very close before they were repulsed by a force of Mexican cavalry. 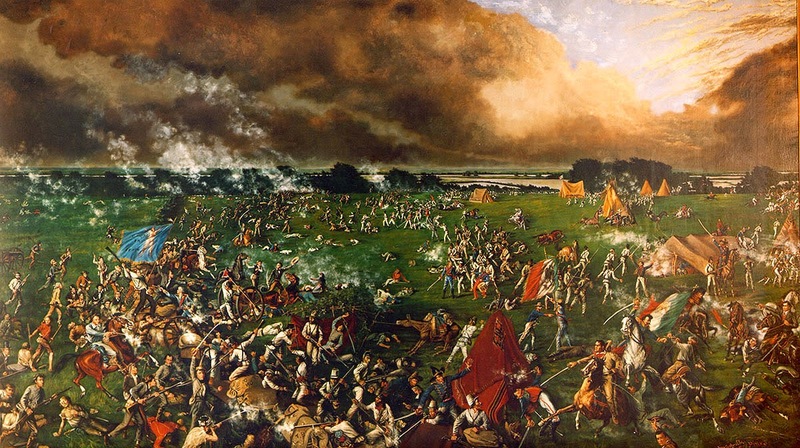 Following this, Neill did valuable service in the army of Sam Houston, serving with particular distinction in the Battle of San Jacinto, in which Santa Anna was decisively defeated and captured. 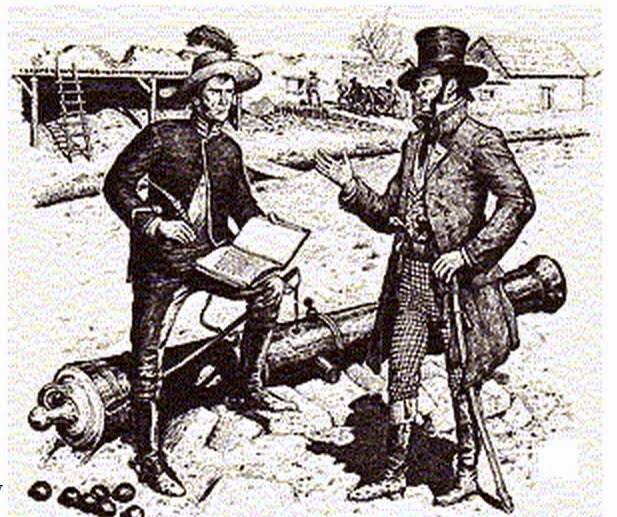 Neill commanded the artillery at the battle, including the "Twin Sisters," two matched six-pounders that were a gift from the people of Cincinnati in Ohio. After repulsing a Mexican attack, Neill was wounded in the hip by a fragment of Mexican grapeshot, but survived. He died in 1848 in Texas. Those wishing to know more about this heroic scion of Ayrshire are advised to read: Stephen L. Hardin's article J.C. Neill: The Forgotten Alamo Commander.